When is a local bank not a local bank? Some people are happy banking online. But many others need to do at least some of their transactions face-to-face. This especially applies to elderly people, people who haven't got good access to the internet, and people with more complex needs. According to research by ‘Which?’ there were 939 branch closures during 2016 in the UK. The most adversely affected areas were Scotland, Wales and south-west England, all of which have extensive rural areas. Even more worrying is the fact that, in many of these rural areas, there are poor broadband speeds which means that access to internet banking can be severely hampered. 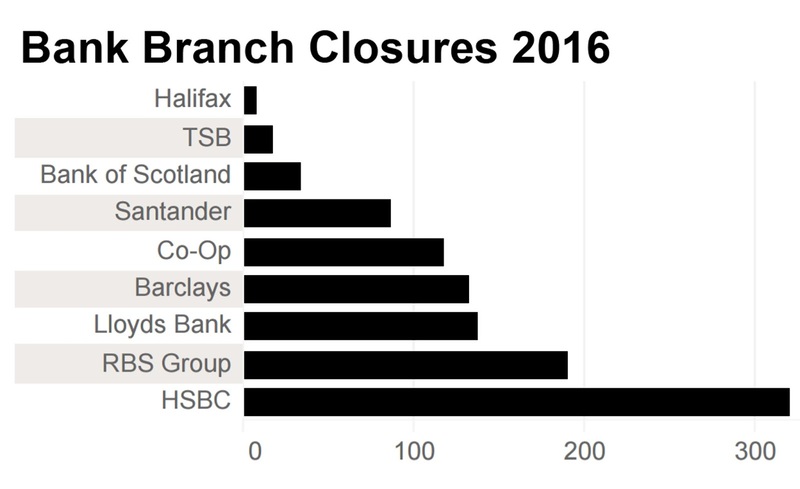 So the areas that most need local bank branches, are the places which have suffered the most branch closures! 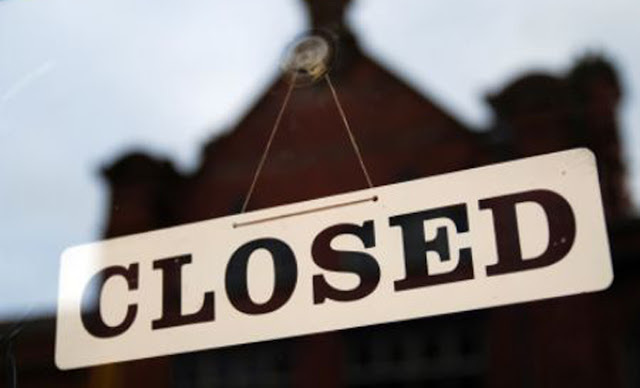 But which banks have been shutting their local branches? The table at the bottom of this page shows that HSBC are by far the worst offender. Which is ironic because in 2002 HSBC launched a comprehensive re-branding operation with a massive advertising campaign, where they claimed to be 'The World's Local Bank'. They had positioned themselves in the marketplace as the bank that actually cared about local people in local areas. This slogan became so successful that, despite the fact that HSBC has recently dropped the strapline, a large proportion of customers still think of them as 'The World's Local Bank'. According to Chris Clark, HSBC's former Global Head of Marketing: "The reality of our business is that we have to simplify it ... we probably weren't really 'the world's local bank', but actually moving away from it is difficult." "(The slogan) became something that didn't position us in the way in which was truthful about the nature of our business. 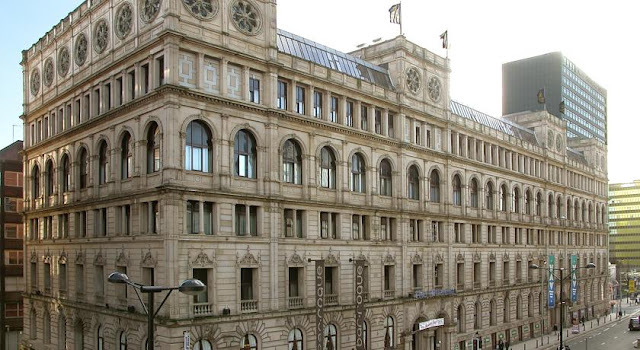 We weren't 'the world's local bank' … and so it is slightly disingenuous to claim to be it." "Obviously there's a management challenge called 'find another one' (slogan) but it's also difficult to get it out of people's heads. If I had that pen in 'Men in Black' where they take the alien out of your head and do a little 'bzzz', it would be wonderful. But I don't." (Source: CNBC, 2016). So there we have it straight from the horse's mouth. The bank that everyone still thinks of as 'local' are top of the list for closing local branches in the UK during 2016. And then they wonder why people don't trust the big banks!